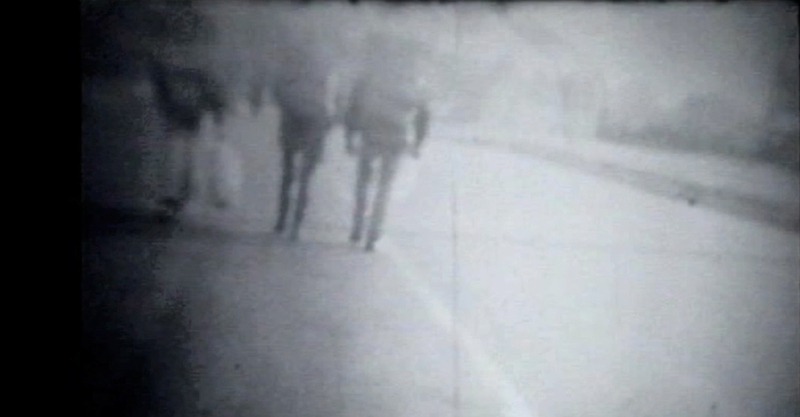 VIDEO ART IS NOW ROUGHLY FIFTY YEARS OLD. In her classic essay on the topic, "Video: the Aesthetics of Narcissism" (1976), Rosalind Krauss identifies the art form’s unique ability to make the viewer intensely identify with the particular subject viewed, most often the person featured in the video. In painting, sculpture or other mediums the subject projects through a number of modes that include the form of the work, how it manipulates the viewer's ability to perceive its content and material factors specific to its making. Video art does the first two but eliminates any clue as to how the physical mechanisms used to make it coincide with how we understand its' content. Unlike painting, where one sees brush strokes, or sculpture that show evidence of its fabrication, in video art both the camera and the monitor the artists uses while making the video are invisible to the viewer of the video. 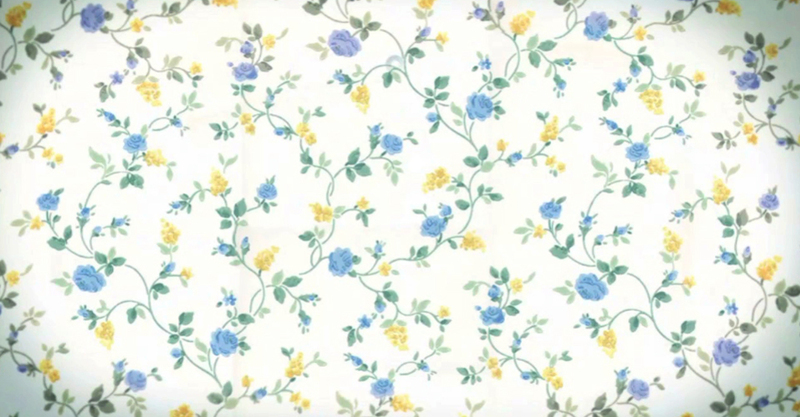 Krauss suggests that because of this, the main content of the video focuses on the relationship between the viewer and the image of its subject, most often its maker. Compared to most art mediums, this creates a psychologically powerful, through often anxious, condition. In its highly selective framing of reality, the video artist puzzles together new, often very personal, narratives to build a new emotionally charged view of life. Architecture videos are similar in that they draw from life to suggest ways of reading its subject, the built environment in time and space. Unlike the video art that Krauss writes of, the subject in architectural video is typically a building or space, not an individual. Reverse of the classic art videos Krauss mentions, the built environment is the backdrop to the points in the work made by people, in architecture videos people are frequently the props to help one read the political, cultural and aesthetic critique developed by the author. For this reason, architecture and urban videos are an excellent tool for not only thinking about existing built environments and how one interacts with them but are themselves poignant instruments that suggest new possibilities for existing and imagined environments. IT IS THIS SET OF QUALITIES THAT INSPIRED the inclusion of videos in the November 2017 symposium in Florence, Mixing Metabolisms: New Residents in Old Cities, co-sponsored by Syracuse University's School of Architecture and the College of Architecture & Environmental Design at Kent State University Florence Center. The topic of the discussion was the challenge and potential of immigration as a force to reshape the cities and exurbs of North America and Europe. Video in this case triggers a speculative discussion on the evolution of urban and exurban space caused by the arrival of new residents who have significantly different cultural experience, values and related spatial needs. This demographic change threatens the identity of many longer established residents of cities and exurbs. The Florence symposium posits the opposite point of view; this new blood is an excellent opportunity to re-think an economically and socially healthy future for our aging built environments on both sides of the Atlantic. The featured videos "Borderline Metropolis. The city and its Double", by Rome based Labics, and the video of Nathan Su, “Through Leviathan's Eyes", imagine a city that does not yet exists. 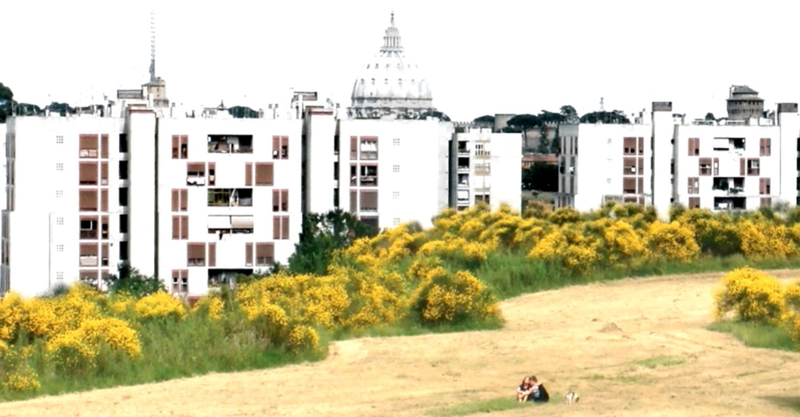 In the case of "Borderline Metropolis" the clip imagines the role of Rome's open spaces, some within a few kilometers of its dense and ancient center. A victim of its own iconic and stereotype image, the Labics video presents a possible next layer of subtle yet productive urban texture, that includes Rome's territorial fingers of open space, like spokes on a wheel that connect its urban core to its exurban periphery. Instability and incompleteness, the enemy of traditional urban planners, are additional assets to a new open and open-ended structure of development for the fluid future of the Eternal City. Breaking through preconceptions and imagining new realities are two themes in Nathan Su's "Through Leviathan's Eyes". The title borrows from the Old Testament, the term "leviathan" used to signify a sea monster or unseen overwhelming force. In the case of Su, this energy is not only the hidden history and future purpose of the city itself, rather the forward-looking power of digital speculation on the form and adaptability of urban space and its meaning. The fluid transformation of urban spaces and new narratives inspired by augmented virtual realities allows inhabitants to project their collective desires on the blank scaffold-like space of the city. These virtual realities create unpredictable yet positive possible future functions and forms of the city. The role of digital technology in the illustration of prospective values also speaks in an expectant yet cautionary way about a deeper mysterious psychological purpose of the city. The digitally transformed image of the city is an intimate understanding of our environment that is contingent on the optimization and personalization of our electronic devices rather than shared images and experiences of the city. The message of both videos is a positive framework to the challenges of demographic transformation in North American exurbs and European cities. The works offer a refreshing change from the more common use of architectural videos to critique these same environments in dark and ironic ways. Nonetheless the commentary on the effects of neo-liberal consumptive culture on our cities and exurbs is well deserved and worth paying attention to. In this more conventional critical legacy, both Nicola Koller's "Driving with the Jones" and the "Evolution Gateshead" by Squint/Opera use parody to speak to different sides of the same coin of exurban life. "Driving with the Jones" is a grim and cutting commentary of consumptive culture that ranges from the frustrations of automotive commuting to the ritual yet somehow dreary eating of meat at the family dining table, both activities that in overt and subtle ways symbolize the high price we pay for material success in our daily lives. In contrast, "Evolution Gateshead" is a soft upbeat parody, intended to re-brand and thus stimulate the consumption of an aging community in northern England. Slightly silly yet cool, this clip turns critical irony back on itself to promote a real estate product that is functionally integrated, environmentally sustainable and culturally interesting. Make no mistake, people, especially millennials want this type of environment. Missing though is the illustration of diverse cultural voices and space that could be an enriching counterpoint to the corporate and consumptively homogeneous identity superimposed on the theme of the video and the revitalized city it depicts. MANY ADMIRE OMA AMO PROJECTS FOR THEIR PROGRAMMATIC INVENTION triggered in part by diverse and densely arranged functions. Others criticize the same firm for its acquiescence to the interests of large-scale capital. In the video for the design of the " Kowloon Cultural District" in Hong Kong, OMA AMO creates a promotional video similar to "Evolution Gateshead". Both no doubt use global investment to fund these large projects and this is not necessarily bad. After all, such large-scale finance systems are necessary to marshal the resources for the implementation of projects whose goal is to revive tired sectors of aging cities. This advantage noted, the programmatic density promoted by OMA AMO and its large developer clients often excludes local businesses and their smaller-scaled political interests much less their inclusion in a planning and design process that would better illustrate and provide space for truly diverse and collective values. 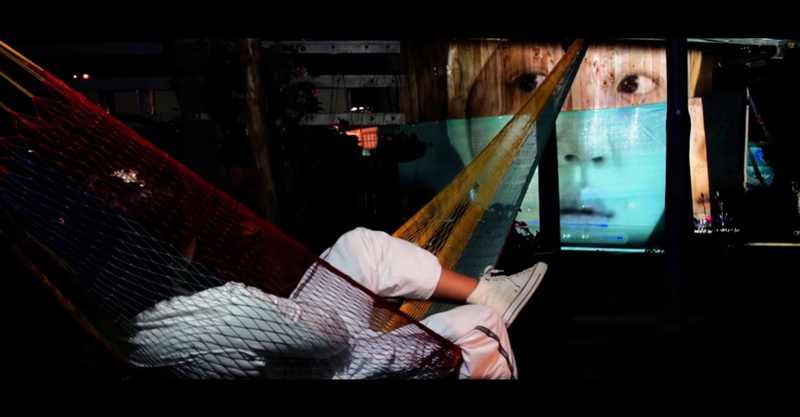 The cultural contribution that comes from local life found in the margins of urban settings and increasingly in the exurbs too, is the most compelling aspect of Urban Think Tank's "La Continuación Del Mundo ", Factory Fifteen's "Chupan Chupai " and the experimental video "moto perpetuo" by Simone Muscolino andFrancesco Monaco. The last of these videos most clearly illustrates the subject and backdrop dialectic identified by Rosalind Krauss in early video art, and one that architectural videos tend to reverse. The most classically artistic of the videos mentioned in this essay, "Moto Perpetuo" examines the psychological atmosphere and perpetual motion of road space. Intentionally obscure and grainy, it portrays a three-day hike around the sketchy spaces of the peripheral boulevards and highways of Turin. In "Moto Perpetuo", the people are mere props to the physically ill-defined space and its' abandoned and unstable purpose. "La Continuación Del Mundo" is a romantic grassroots snapshot of Medellín, Colombia, a city's who's dangerous past is only matched by the more recent affirmative transformation of its neighborhood buildings and public space. This dramatic modification of some of the city's most desperate urban districts is the result of a persistent political effort over many years by local politicians, several of them architects and urban designers themselves. 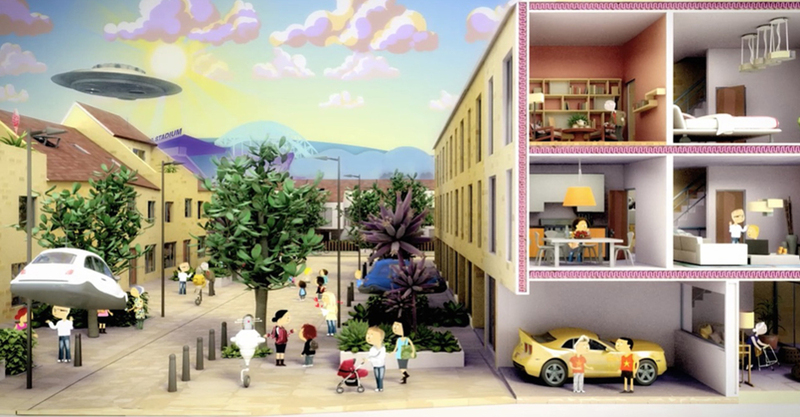 The video argues that the city is the ultimate space of interaction of people, buildings and neighborhoods best understood on an intimate level. It is the opposite of "Evolution Gateshead" or the Kowloon Cultural District piece by OMA AMO, this suggests a future city built on the values of those who are included in the process of its making and experiencing the city for themselves and each other. "Chupan Chupai" translates to the game, "hide and seek." 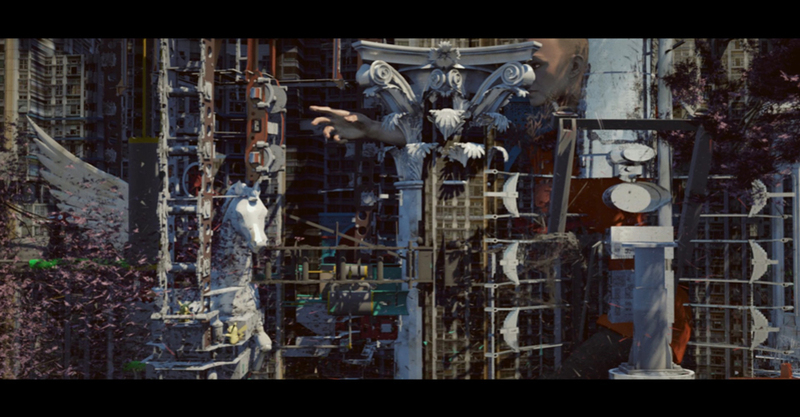 The video features a group of children in a graphically enhanced urban landscape. As in "Through Leviathan's Eyes", this video uses an augmented reality to explore the everyday life of urban India. In the work, digital devices act as both decorative and functional extensions of the body that expand and enrich the experience of the city. In contrast to "Through Leviathan's Eyes", the insertion of speculative technology is less emblematically technologic and more culturally specific to India. This suggests that digital representation and technology, as anything technical throughout history, simultaneously is informed by and illustrates regional practice and values. In "Chupan Chupai" the boundary between the urban digital and material culture is blurred. This attitude about technology is based on a more nuanced grammar of form, space and function of the city, an experience of the city that needs to not only valorize technology but more importantly be accessible to all residents not just those with the economic means to do so. WHETHER IT BE CHANGING RESIDENTS of European cities or North American exurbia, adopting digital systems and implementing more ecologically sensitive practices, we are at the crossroads for how we set up the next generation of growth and transformation of these existing patterns of settlement. The ability of architectural and urban videos to create new narratives that exist beyond present realities is the medium's most promising quality as we try to puzzle our way forward through the complicated, sometimes cynical circumstances that confront the contemporary urban terrain and the way we live in it. It is important to look beyond the skeptical, irreverent and the self-referential hipness of the previous postmodern generation. The most intelligent and compelling of today's architectural videos attempt to do this by casting our larger technical, ecological and social contexts as pragmatic and optimistic protagonists. This allows us to move beyond the anxiety of the victim and individual that drives mindless neo-liberal consumption and at the same time fuels fear that inhibits cultural growth. These works instead encourage us to imagine using the complex, often messy, social metabolic realities of our times to cultivate urban tools and new spatial organizations that promote diverse communal empathy and richness in our lives. Proposal for a networked and flexible urban plan. The peculiarities of cities are often the starting point for developing urban intervention strategies. Borderline Metropolis is a research project conceived by Labics and begins with the observation of Rome's peculiarities, illustrating a vision of the city's future growth. When one can see beyond the iconic and stereotyped image of Rome, some considerations arise that question the status of the city. This offers a panorama of contrasting conditions which are utilized by Labics as a resource, despite their apparent contradictions. A significant amount of spaces in Rome are incoherent and discontinuous, lacking a clear function or destination. Learning from this condition, Labics conceived the Neural Network—a network which addresses the high level of fragmentation and urban instability across the city and formulates a new strategy for approaching them based on the concept of physical and conceptual borders. A new way of transforming the territory is under discussion: transcending the rather closed approach of traditional urban planning, the architectural firm promotes an open, networked and flexible urban plan. This approach starts from the edges of the town rather than the centers, challenging the idea that a city is formed from single nodes. The structure of borders within the city can be activated in different stages and with different types of program, in contrast to the development of a preconceived final form for the entire territory. The research deals with three main themes of urban design on different scales: as first the concept of instability, and how this urban condition can preserve the openness, incompleteness and vitality of the city; then the idea of scalability of design instruments to allow the urban territory to be addressed at multiple scales; and lastly the emergence of a new city model conceived as an open and structured system. Labics' research investigates new ways of transforming the territory. Borderline metropolis, both the project and the related video, have been conceived for the "Uneternal City" exhibition, presented at the 11th Architecture Biennale "Out There: Architecture Beyond Building" (Venice, 2008) curated by Aaron Betsky. The video has a clear narration. The questions and statements are molded and balanced with collages, graphics or maps, and final images of draft 3D models to demonstrate the initial thesis. The arguments are smooth and uninterrupted from text to pictures. Theoretical research is a fundamental part of architectural practice and the two are perennially entwined. As Labics pointed out, the Borderline metropolis studies relate to some contemporary and subsequent projects like the Città del Sole redevelopment of former bus depots or the masterplan for the Torrespaccata new centrality.